Are you a lawyer looking to take your practice to the next level? Would you like your firm to stand out from the competition and gain instant credibility in your local market? Call 1-800-704-3578 or email us today and learn how inexpensive it is to license 1-800-ATTORNEY exclusively in your area! Let’s say you have a personal injury practice that’s looking to expand and attract more clients. You’ve invested thousands in marketing and advertising but aren’t seeing the results you know you deserve. Let’s say your firm’s last radio campaign brought in 100 calls. The results of this study show that if your firm had been using 1-800-ATTORNEY instead of your numeric toll-free number, you may have seen 1,400 calls! When was the last time you wrote down a phone number you heard in an advertisement? I’m guessing not often. Can you remember the numeric phone number used in one of your competitor’s ads? Probably not. Can you remember the vanity number used in one of your competitor’s ads? I bet you can! Imagine harnessing that kind of branding power, but with the added benefit of the 1-800-ATTORNEY brand name! Maybe you’re a relatively new firm and you’re looking for a way to outshine your competition and add instant recognition and trust to your practice. An established and well-known brand like 1-800-ATTORNEY can work wonders. There’s simply no better vanity number in the legal industry! A Chicago Tribune advertising study found that advertisers using 1-800 vanity numbers were getting ten times the amount of response as advertisers using a local telephone number. Additionally, it’s been found that vanity 800 numbers improve consumer recall rates in visual aids by up to 84%, and yield a recall rate of 9 times higher than numeric toll-free numbers in broadcast ads. 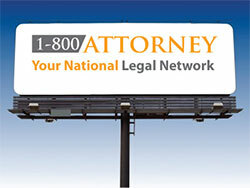 Exclusive use of the 1-800-ATTORNEY phone number in your geographic area. Calls from your area are routed directly to your firm, and there’s no middle man or answering service to confuse potential clients. Additional web leads generated from 1800ATTORNEY.com. Leads which originate from clients in your area are instantly routed directly to your email address. Prominently and exclusive placement on the homepage of 1800ATTORNEY.com for all visitors coming from your geographical location. 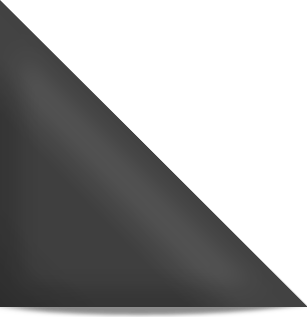 A customizable firm profile on 1800ATTORNEY.com with links back to your website. The ability to publish blog posts and other content directly to the 1800ATTORNEY.com website. Inclusion in an exclusive national attorney network, the referral partnership and collaborative opportunities associated with it. Most importantly though, 1-800-ATTORNEY can bring you more calls! In fact, we’ve found that many people who’ve never even seen an advertisement for your firm will call 1-800-ATTORNEY when they have a legal issue. Your firm likely only practices a few areas of law, but since your firm owns all the leads coming from your geographic area, this gives you a great opportunity to refer out cases and build strong relationships with other firms in your area! You can use 1-800-ATTORNEY across many ad channels, keeping your message simple yet impactful while building brand recognition at the same time. With 1-800-ATTORNEY, you’re able to track your results and find easier and more powerful ways of increasing your revenue based on customer response and reaction. If you license the 1-800-ATTORNEY number for your law firm, we’ll throw in our pre-prepared video ads for your firm to use. You can customize them as you’d like to include your own theme, practice areas, or personal message. Have Questions? Do You Just Want to Know the Price? Call Us! Call us today, toll-free at 1-800-704-3578. There’s no obligation, and our representatives are happy to take your call and provide you with answers to all of your questions. Spots are filling up fast, so contact us today before your competition does! Only ONE law firm in your area can secure the rights to 1-800-ATTORNEY and the advantages it brings. Law firms across the country have already secured their spot. Don’t delay, call us at 1-800-704-3578 today.